Kara and her friends at Lane Stadium. Photo by Brad Larkin. All other photos by Kara Carpenter. Introducing College Edition, a new fall column celebrating student life off-campus in America's best college towns. We picked the brain of Virginia Tech senior Kara Carpenter to get the lowcountry lowdown on the place she holds close to her heart. What's to love about your college town? 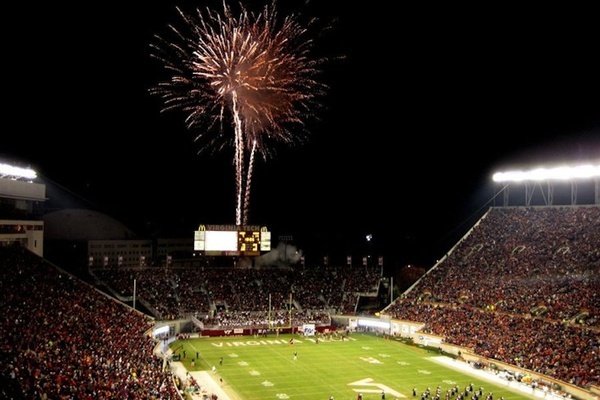 Blacksburg has long been considered a top college town for its small-town feel and spirited Hokie football fan base, but there's so much more to it that made me fall in love. I've been fortunate enough to meet people who share my sense of adventure, which has influenced my college career in indescribable ways. Both Virginia Tech's reputation and Blacksburg's welcoming feel are what brought us all here. Visitors leave our beloved college town knowing exactly what it means to be a Virginia Tech Hokie. Where do you go when mom and dad are in town (and paying for dinner)? The Homeplace serves the hands-down best home-cooked meal away from home: a sit-down, Southern style, all-you-can-eat dinner. The wait can be up to two hours, but mouthwatering pulled pork and biscuits with apple butter are worth your time. There's a field nearby where you can throw a frisbee while you wait. When it's late and you're starving? 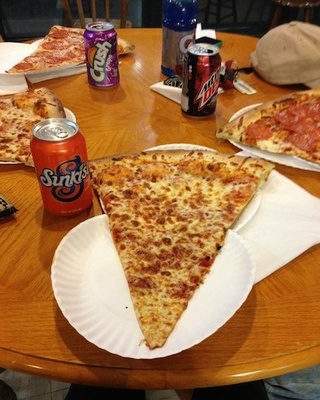 Benny Marzano's Pizza, "Home of the Virginia Slice," which is so big it barely fits on two plates. When you're out for the night and a member of your party "forgot" her ID? Top of the Stairs (TOTS) is a five-minute walk from the heart of campus. It has two bars, with a lower section for live music. Next Door Bake Shop is the place for good coffee, scones, and muffins. Locally owned and managed, it has a relaxed, comfortable feeling. For breakfast on the weekends? Without a doubt, Joe's Diner. The easiest place to become a regular given the friendly owner and delicious food. You'll always walk out uncomfortably full, patting yourself on the back for how little you had to spend. The Rivermill is a bar and grill with low prices, live music, dart boards, and pool tables to keep you and your big group of friends entertained. To feed yourself on a tiny budget? Cook-Out is a popular fast-food chain down south that serves quick, quality food — more than 30 milkshakes, plus pulled pork sandwiches, quesadillas, and hush puppies (that's deep-fried cornbread for you New Englanders). To work out on the cheap? McComas Gym is new, right on campus, and included in semesterly tuition. There are two floors of machines for an individual workout and multiple basketball courts. If you need extra motivation, there are lots of fitness classes. For a completely free workout, most people go hiking or run around campus. When you want to run into everyone you know? Hokie House, a bar in town that's always on our list. You're guaranteed to find people you know either playing darts or hanging out by the bar with friends. When you want to escape campus life? On the outskirts of Blacksburg, New River is the place to enjoy the nice weather either with friends or alone. Swim to the rocks, a well known Hokie establishment where you can dive, or rent tubes. For cheap movies and shows? The Lyric in the heart of downtown Blacksburg sells movie tickets for $5. While it doesn't always show the newest movies, it is a great spot for a date. To shop vintage or second-hand? Goodwill (1411 N. Main St.; 540-951-0215) and YMCA have some of the best hand-me-downs, from household goods to crazy clothing for costume parties. When you want to impress your date? There's a deck at Mountain Lake (Mountain Lake Rd. off of 460 W.) that's perfect. 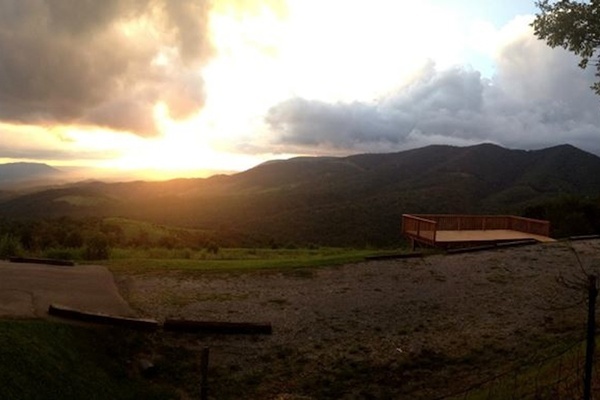 Grab food and bring it up the mountain for a sunset picnic with views of Montgomery County and the Appalachian Mountains. When your friends visit from out of town? 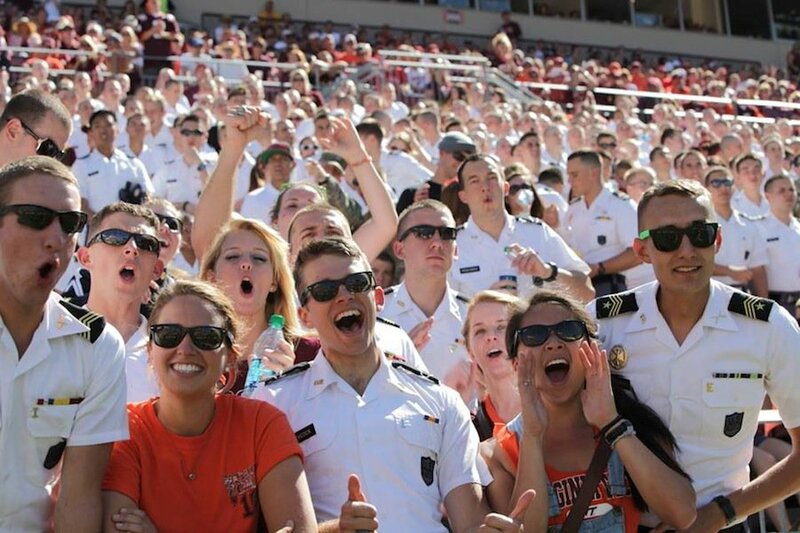 Game day in Blacksburg is like nothing else. Just make sure you are wearing maroon and orange and are ready to start jumpin'. 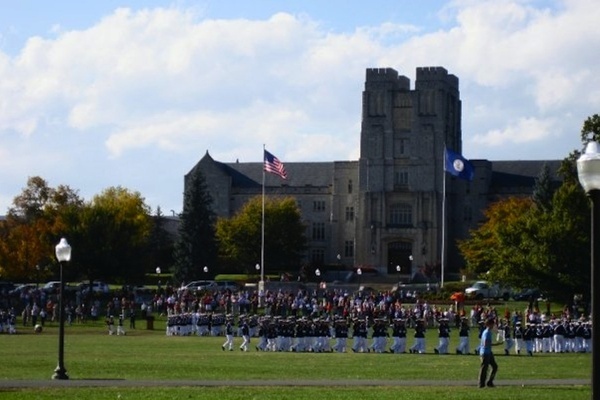 If it's not football season, check out the Drillfield in the center of campus — that's the essence of Virginia Tech. when you have a day to kill? 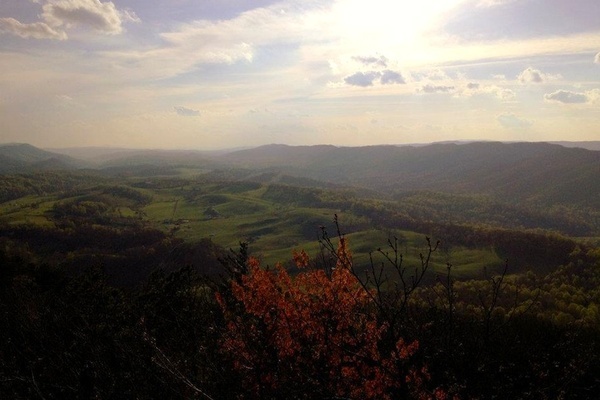 Dragon's Tooth is a moderate, three-hour hike with a breathtaking, 360-degree view from the top of the "tooth." After the hike, refuel at The Homeplace right around the corner. Bars: Sharkey's is a little more upscale than Hokie House and TOTS, and Big Al's has a sports bar upstairs. If someone is underage, Sycamore Deli is a great place to hang out with live music and good beer. Restaurants: Macado's (922 University City Blvd.) is a fun, movie-themed, family spot with good food (and prices). El Rod's (1540 S. Main St.) has delicious Mexican food, but is better known as a 21st birthday tradition for flaming shots on the house. It's a little pricey, but Boudreaux's Cajun Restaurant (205 N. Main St.) has rooftop seating with a bar. Shops: Downtown shopping is expensive, so most people head to Christiansburg (ten minutes away) for big chains like Target, T.J. Maxx, and JCPenney. Roanoke is a little farther (45 minutes away), but has the best shopping in the area. Kara's friend Kelsey at the top of McAfee's Knob. The best way to spend a Sunday? I think I speak for everyone at Virginia Tech and in Blacksburg when I say that the best way to spend a day is outside doing something adventurous. Dragon's Tooth and New River are some of my favorites, but when the weather is nice, there are endless options. 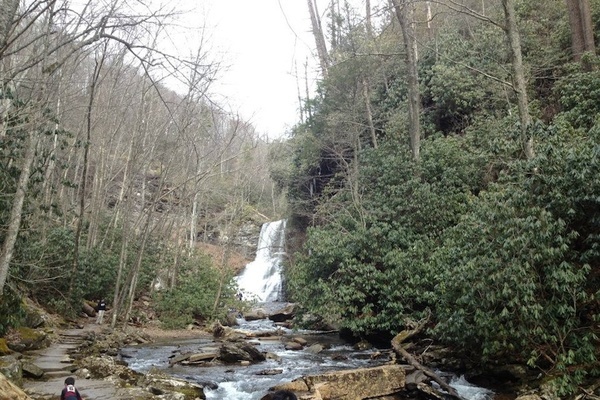 McAfee's Knob is a moderate, four-hour hike, but the Cascades is the most popular (and easiest) hike. There's a waterfall at the end that you can swim in. 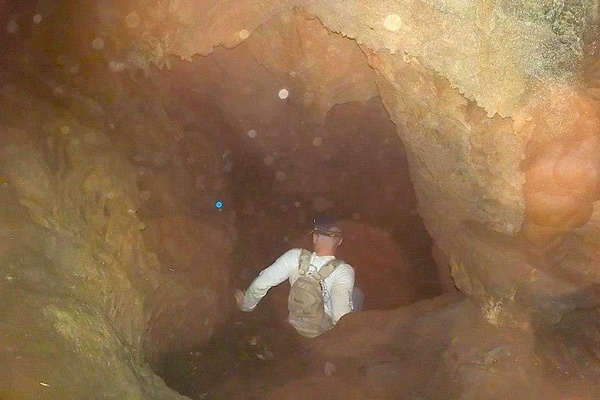 Kara's boyfriend Tom exploring the caves. 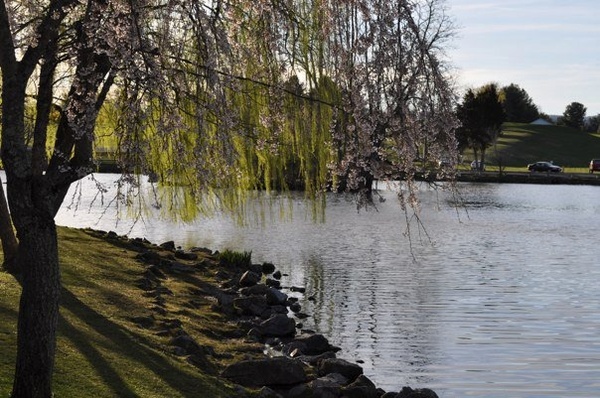 Duck Pond is a beautiful place to relax. It is also a very popular spot for romantic proposals. What's the most underrated thing about Blacksburg? The food and the river. There are so many hole-in-the-wall places, like Joe's Diner, with incredible food. The river is a 30-minute drive, so people don't want to take the time to get out there, but it's really beautiful. 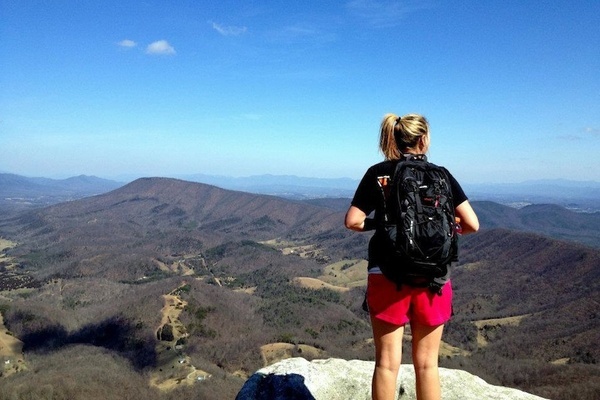 Kara is a civil engineering student and proud Hokie at Virginia Tech. She travels to see lifestyles different than her own.